The world is getting more and more polluted by the day, and for those of us at home, we might want to think more than just twice about vacuuming the floor and carpets just once a week – it might require more than that, considering the amount of dust and pollutants that you cannot see in the air. 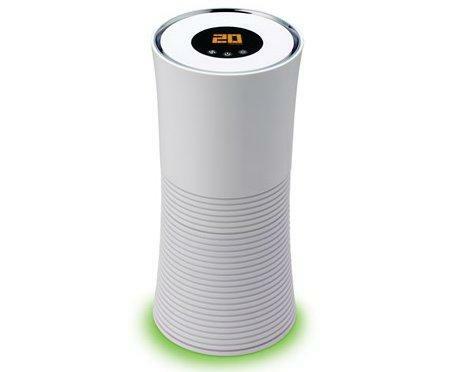 Well, the $149.95 Odor and VOC Eliminating Air Purifier would definitely come in handy, as this air purifier will rely on patented filter technology in order to remove odors and airborne volatile organic compounds (VOCs). One ought to take note that the nano-scale material in the filter, should it be laid out flat, would end up with the surface area of not one, but two badminton courts. This would go a long way in enabling it to capture over 99% micron-sized organic particles in a room. The purifier itself works hard by breaking down molecules which will carry odor or bear VOCs, and the toxic airborne chemicals which are emitted by many common household synthetics such as carpets, varnishes, and cleaning agents. Not only that, there is also a colored LED which delivers an indicator of air quality at a glance.